Some people love ‘em. Others hate ‘em. And there’s so much on record, loads of majorly different interpretations. Me, I am enjoying a recording by Afanassiev which I recommend very enthusiastically. A spacious reading which really suits the music, and without a trace of lugubriousness and self-consciousness which I think can spoil many traditional interpretations. I also like a record by Gieseking, made in the 50s. You have the usual Gieseking translucency of tone, of course. He plays with a remarkable lightness, a whimsy, which makes this quite a magical recording. And there are a couple of other nice ones I know. Richter does Op118/6 brilliantly in the Leipzig CD (the one with the Beethoven sonatas). And if you play around with google enough you will find a concert bootleg of Op 118 by Zimmerman which, despite the poor sound, sounds really special. Again, there is nothing maudlin about Zimmerman’s Brahms. But there is a lot of feeling, much of it rather bleak and frightening. I’ll let others speak for Lupu and Kempe and Rubinstein – I wonder if there are any fans of their Brahms styles out there. Anyways, here’s a space to say anything you want about these enigmatic works. I am certainly on the love 'em side. Wonderful, very poetical music. And I also agree with you – very interesting performances from Gieseking (I also enjoy his earlier 1930’s versions), Lupu, Afanassiev, Kempff (I personally prefer his more spontaneous 1960 op 118 to the latter DG set) and particularly Richter whose mix of limpid strength and intimate expressiveness is revelatory in these short pieces (but, as usual with Richter, there are many different fragmentary recordings). Other interpreters of the late Brahms piano pieces I particularly enjoy are Yudina (she even wrote a very interesting essay on the Brahms Intermezzi), Peter Rosel (largely unknown but a fine artist), Gyorgy Sebok (1960 Erato) and the younger François Chaplin (1998 Ocean). The Rady Lupu disc is a must have IMO. It's one of the few cds I'm able to listen to from A to Z.
I need to revisit that Yudina Brahms CD. I have only heard the LvB on that CD. Considered by some, yes. I haven't heard it. Some people love ‘em. Others hate ‘em. Didn't realize these works had enemies. Personally I love them. Lupu, Gilels, and Goode do nice work. One question which may help progress the discussion. When I read reviews of Brahms recordings I keep comming across the phrase Brahmsian inflection. Gilels has been praised for having a true Brahmsian inflection in Op 116 and in the Paganini Variations-- and Grimaud dissed for not having said inflection in her late Brahms. 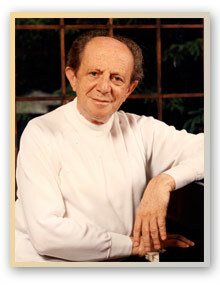 Rubinstein and Kempff are said to have it. Pogorelich and Ranki said to lack it. I guess this must refer to some traditional performance values, but can someone explain? What is this inflection? Thanks for reminding me about Yudina ccar. BTW the best Kempff Op 118 I have heard comes from the 1950s. Has anyone heard Schiff's late Brahms? Or Kovacevich's? For many (I including) Katchen is indeed a fantastic Brahms interpreter. The solo piano set has magnificent playing (and his Brahms concertos and chamber works are also first class). And in these late Brahms pieces I also appreciate the intense dynamics and the lush tone of his playing. But in most of these intermezzi, capriccios, romances and ballade I personally tend to look for a more dark, introspect or even "wandering" reading. The Brahms inflection is being sold in the specialized critic's stores (there is now a promotional downloadable pack with the Mozart, Schumann and Beethoven inflections). BTW the best Kempff Op 118 I have heard comes from the 1950s. I thought you were referring to the later 1963 recording. I agree with you - for me the 1950-1953 phrasing is more inventive and "unpredictable". The Kempff performance I mentioned is a 1960 radio broadcast - it includes only the op.118 but it is also worth to listen to (Orfeo 7210721). PS: With or without the necessary "Brahmsian inflection", Gilels is also very interesting. For many (I including) Katchen is indeed a fantastic Brahms interpreter. He recorded some pieces twice (like the Paganini Variations) -- To me the ones in that Deca set seem too flash, to much like this music is Bravura. I know he has his fans, but I think there are better recordings even of the earlier pieces like the Handel variations and The Paganini Variations. He doesn't have the right inflection magic. I haven't heard the early recording of the Paganini Variations -- I would like to. If anyone can locate them on CD please let me know. But in most of these intermezzi, capriccios, romances and ballade I personally tend to look for a more dark, introspect or even "wandering" reading. That's precisely what interests me. I think there is a tradition which says that these later pieces are the sultry maudlin disappointed regrettful outpourings of an aging composer, whose mind has started to wonder a bit. That's how I hear Rubinstein and Kempff play them. And Lupu. But there are other ways, and to my ears they are at least as successful (I hope you have noticed my well studied diplomacy here.) . Afanassiev, for all his slow tempi, and Grimaud and Gould and Gieseking make this music sound less lie the sound track to a Holywood tearjerker (On Golden Pond maybe) and more like really profound and complex music. Gilels is also very interesting. Only Op 116 as far as I know. I have it on Orfeo and I like it, and I like Richter. And Bashkirov. And Lubimov. Maybe there is a Russian way of playing this stuff like there is a Russian way of playing Schubert which offers a distinct alternative to Rubinstein & Co. I think there is a tradition which says that these later pieces are the sultry maudlin disappointed outpourings of an aging composer, whose mind has started to wonder a bit. That's how I hear Rubinstein and Kempff play them. And Lupu. That's funny. I would rather take it the other way around. Rubinstein, Kempff and Lupu are unsentimental while Gould is. And it's possible Gould's interviewed himself at some point to say that his take on Brahms is sooo unsentimental, but that's not what I'm hearing - and I like Gould's disc with short Brahms pieces. In fact it's the only Gould recording I like. No no no no no no no , Hermann. No. Are you 'avin a larf? The point isn't that one group are sentimental and the other aren't. The point is that one group -- Rubinstein & Co. -- find mainly a particular narrow range of feelings in their responses: feelings that we associate with an old man looking back with some regrets over his life. The other group -- the Russians maybe, but also I think Grimaud and (maybe) Gieseking and Zilberstein and (maybe) Zimmerman-- find different things -- hints of terror, violence, anger. Stuff like that. My guess is that the Rubinstein & Co, are following a tradition of how to play this music, a tradition which may well go back to Joseph Joachim and Karl Heinrich Barth and hence to Brahms himself. Remember that Rubinstein and Kempff both studied with Barth, and Barth studied with Tausig and von Bülow, who both knew Brahms. Rubinstein in fact was taken under the wing of Joseph Joachim when he was a young man, and Joachim knew Brahms personally, of course. It's pretty hard for me to imagine this music being played objectively by anyone! Truth is, I have not heard Gould's Brahms for ages. I will have to relisten before digging myself into an even deeper hole. To me the ones in that Decca set seem too flash, to much like this music is Bravura. Yes, understand what you mean. And I agree - I am never into the "pianistic" mechanical virtuosity side, unless there is some real musical juice in it - and this is quite rare in most of the performers. Especially in the "bravura" pieces where, for me, the efficient playing is only a basic mean to convey some musical idea, beauty or even poetry that is usually hidden behind the gymnic notes. Of course, this is not to say that some of the most "simple" or subtle musical pieces don't require technical virtuosity - they may, even more, but in a different "internal" way. This is why the "naked" Bach or Mozart (or even Brahms) is so difficult to approach. Katchen may indeed lean into this flashy virtuosistic playing. That's why I would not go for him in these late Brahms pieces. And for the reason above I am not into his Paganini Variations also. But his Violin Sonatas (with Suk) and some more "symphonic" piano works are very interesting. 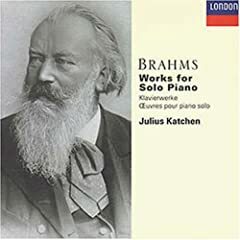 For instance, let me confess I personally prefer Katchen's bravura approach in the Brahms piano concertos to the most revered but solemn Gilels-Jochum DG reading (to whom I could never connect with). I think there is a tradition which says that these later pieces are the sultry maudlin disappointed regretful outpourings of an aging composer, whose mind has started to wonder a bit. That's how I hear Rubinstein and Kempff play them. And Lupu.
" Since you asked for them, I'm sending herewith a volume of piano pieces ... I don't need to ask you not to let them out of your hands ... put them aside and pick up the Rhapsodies, say, if you want to recall with pleasure the music of your most affectionately devoted Johannes. " Most of the op. 116-117 pieces (and perhaps some included in the latter opus) were sent to Clara and "dedicated" to her. They were composed by an old man yes, but may have been inspired by intimacy, sorrow, poetry and LOVE. That's why, probably, we feel we need a more intimate "inflection" in the playing. Katchen is often (semi)-derided as flash in the pan virtuoso note spinning. But I've been listening extensively to Gilels, Grimaud, Kempff, Klien, Katchen, and Rosel, and I have to say that Katchen is pretty gentle and rounded in his performances here. In some of Brahms' earlier works (such as the Sonatas), he's ferocious, but here in the late works he uses silences more effectively than anyone else I've listened to (except maybe Lupu). I deeply love Brahms late piano works. I have recordings of both Katchen and Kempff (I think from the 1950s) playing much of Brahms piano late works (the complete works by Katchen), and to my ears, found Kempff not to my taste, whereas Katchen was nearly perfect. I love Kempff's Beethoven, but his Brahms seems somewhat colorless and stiff. As always, what I post are merely the personal reactions of a casual listener and not to be considered anything but. I also found Kempff's Brahms to be dissappointing. Even the mono stuff. I love Lupu's Brahms though!! I like Kempff's Brahms but I ordered the Lupu anyway. 1. Afanassiev's Brahms CD -- characterful and full of feeling without to much of the rambling old man. I love this recording. I think Afanassiev is one of the greatest active pianists, in fact. 2. Zilberstein's Brahms CD (it has been republished by Arkivmusic) -- sharp, quick, rather chisled style. It comes with an outstanding Paganini Variations. I love this one too. I listened to the first disc last night and was impressed. It looks like we have a winner! Thank you, folks.